Forget constantly writing down mileage, starting point, destination and routes by hand. Use our automatic mileage log solution instead. Activated with a simple tap, the app uses GPS to automatically record your trips. The app is cleanly designed and easy to use. 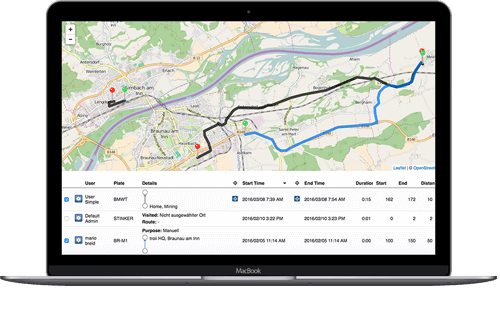 By integrating Tour with timr, you can just manage your mileage log from the timr web app. Enjoy the convenience of recording all of your company’s business trips and rides with timr. The app also allows you to track the location of employees who have approved this based on their smartphone’s GPS positioning. A simple tap to start or stop the recording converts the smartphone’s geodata into start and destination addresses. Manage employees using company cars as well as the cars themselves conveniently from the web app. Every employee’s mileage logs are saved in one central location. If someone leaves your company you’ll still have access to their mileage logs and you’ll have no problem meeting the retention requirements for accounting records. Keep your mileage log on-the-go with a simple tap in the app. Soon Excel sheets and paperwork piling up will be a thing of the past. The mileage log is also tax compliant, as long as users are keeping it diligently and in a timely manner. Furthermore, timr lets you track your working time and project hours whenever and wherever you are — in the same app. All entries are automatically synced with the web app. 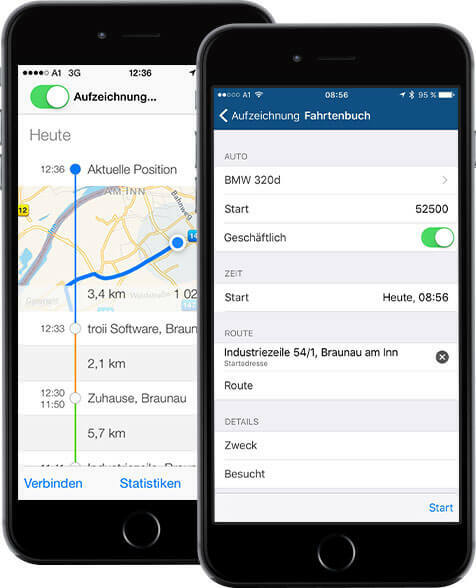 The timr app turns any smartphone into a digital mileage log and time tracking tool. All data can be managed centrally from the web app. You want your mileage log to be effortless, efficient and tax compliant? Give timr a try and find out how easy keeping mileage logs can really be.